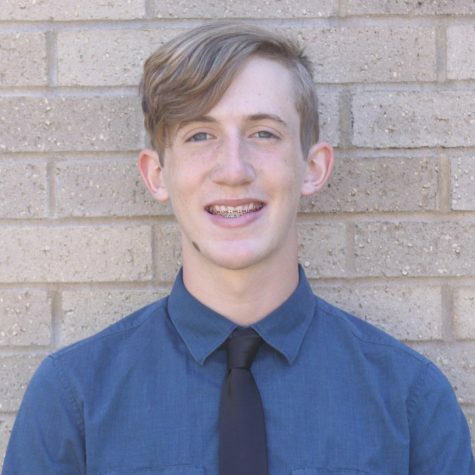 Ryan is the Co-Editor-in-Chief and Layout Editor of The Tower. He is currently a junior at John Adams High School and aims to receive an International Baccalaureate diploma. He is involved in various extracurricular activities including football, drama club, and the orchestra. Ryan also acts at the South Bend Civic Theatre. He began working with The Tower his sophomore year and became an apprentice to the former Editor-in-Chief, Kaity Radde. This year he is the organizer and coordinator of “Tower Rock”, a musical performance at Adams. He is also the head of the sports section of The Tower’s website. He is currently on track to be a recipient of the 21st Century Scholars’ scholarship and holds down a 4.0 cumulative GPA. Ryan plays many instruments, including cello, guitar, bass, double bass, drums, piano, and banjo. He hopes to study abroad in the United Kingdom in the fields of music theory and business management/marketing, possibly at The University of Cambridge or University of Manchester. Before attending Adams, Ryan went to John Young Middle School in the School City of Mishawaka. After researching different high schools of the area including Penn and Riley, Ryan selected Adams due to its extremely diverse student body and the fact that its magnet is Global Studies, which embodies the International Baccalaureate program.